Ultrasound Therapy is utilized for therapeutic effects. Based on the study of the experts, ultrasound releases audio energy at an extremely high frequency. The continuous production of acoustic energy at the same wavelength creates a thermal effect. The result would be an enhanced circulation of blood. You will also experience decreased spasm and stiffness. This will result in improved flexibility of joint and tendons. Therefore you will see a massively reduced level of pain. It also creates pulsed wave that triggers the regeneration of tissue, activates the production of skin collagen, improved circulation and reduce the swelling caused by edema. It is a painless form of procedure offered by our Chiropractic Clinic. Most of our patients find it very relaxing. So it’s also very comfortable. Ultrasound Therapy: How does it Work? In order to make the healing process more convenient, our chiropractors utilize various types of physiotherapy. 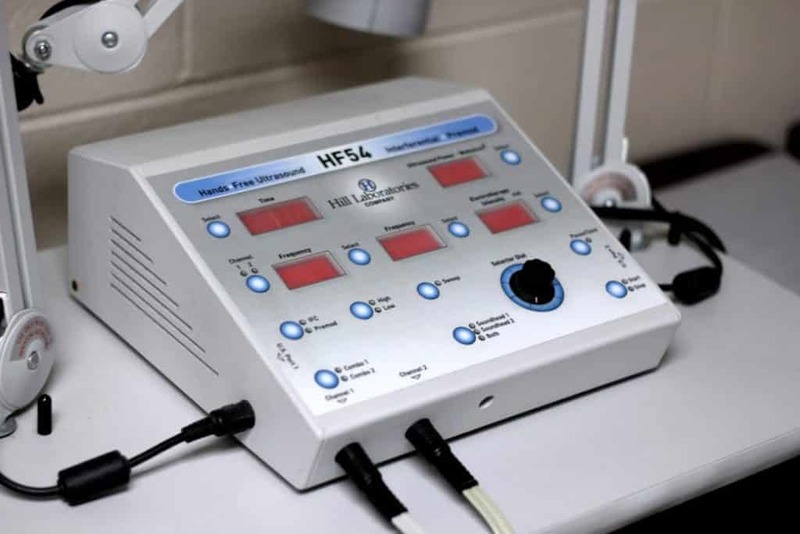 With the use of ultrasound therapy, the rate of healing of our tendon, muscle and joint will speed up. Thermal energy is created. This is because the cells of the tissue started to vibrate. And it is more beneficial compared to the heat on the surface of our skin. It has the capacity to loosen the ligaments and muscle which ultimately promotes flexibility. It will also improve blood circulation and promote the production of new cells in the process. By enhancing the in-depth heat, the permeability of our membrane will also improve. Thus allowing them to take moisture and nutrients. Therefore we prevent the swelling of the skin. So the vibration caused by the ultrasound therapy has a direct impact on the formation of a scar, trigger point, adhesion and spastic tissue. So it also has the ability to trigger the regeneration of the soft tissue. Our chiropractor may recommend this type of therapy. We typically use it on patients with various types of muscle and tissue injury. We also use it for sports injuries. Or chronic pain relief. Some of the prevalent conditions that we commonly subject to this type of therapy are. At the start of the treatment, the attending physical therapist or chiropractor will apply a medical-grade gel to your skin. This is in order to start the treatment. After the treatment, our attending and friendly chiropractic personnel may require you to perform simple actions. This can include things like stretching your arms. We may also recommend an additional form of treatment in order to enhance the result of the ultrasound therapy. Give us a call to see if you can benefit from ultrasound therapy. 215-343-3223.